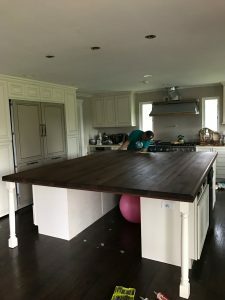 This is a huge kitchen island made from Walnut lumber. 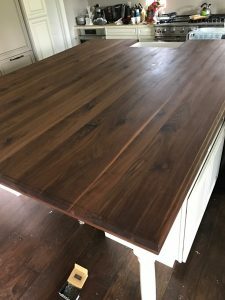 This island top measures 10’x8′. 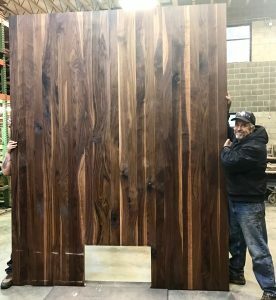 The edge profile is an ogee style and we routered in the section around the sink.